Rightmove estate agents what are they and why don’t they actully exist like in the image below? Rightmove aims to make UK home movers easily find details of all properties available to buy or rent. They advertise estate agents, letting agents and new homes as well as overseas agents. 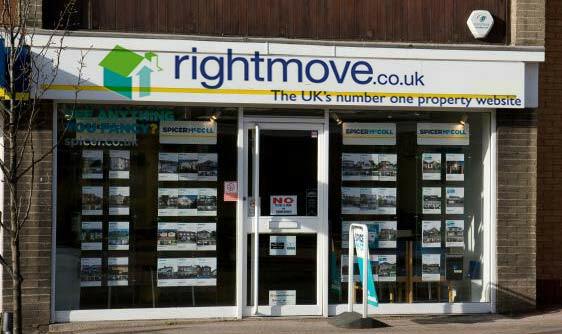 We are always writing reviews on alternatives to Rightmove, such as Zoopla and Tepilo, but there is no getting away from the fact that Righmove is still the number 1 web site for Uk properties. Rightmove estate agents are in every high street. Rightmove member estate agents also have access to details that arent available via the public web site in a secure area. This gives them the ability to provide detailed reports exclusive to there personalised details of your requirements. If your selling then this will be in the form of reports on the interest being shown in your property, ensuring that your estate agent can keep you informed every step of the way. Rightmove boasts that member estate agents can advertise your property to the UK’s largest home moving audience – millions of local and national home movers visit Rightmove every month. Rightmove member estate agents can also display unlimited photographs to give buyers the best view of your property. 9,500 estate agents are Rightmove members with over 650,000 properties for sale. Rightmove has yet to allow a direct way to advertise for free due to the Property Misdescription Act 1991, so for now you have to list it with their approved estate agents. My parents have a house in Normandy France which they want to sell. Can you help in any way. The french estate agents are useless and they want to deal with somebody english.